Rev. Morgan is president and founder of Global Impact Ministries, an organization dedicated to sharing the apostolic faith in North America and overseas. Rev. Mark Morgan now serves as the Western District Superintendent. He is also the senior pastor at Abounding Grace of San Francisco, a congregation he founded in December 2004. He is currently pursuing his Masters in Divinity with the Assembly of God seminary to broaden his scholastic and spiritual understanding of Christianity. Rev. Morgan believes his studies will make him a better Christian and improve his ability to lead his family and congregation. When he completes the program, he intends to study for his doctorate in the same field. Rev. Morgan's career began in 1982 when he and his wife Naomi moved to Anna, Illinois to assume the youth of a local United Pentecostal Church. Two years later he embarked on an evangelistic ministry that lasted four years and saw him travel across North America and overseas speaking at apostolic gatherings. In 1988, Rev. Morgan the pastorate of the United Pentecostal Church in Okmulgee, Oklahoma, where he served as senior pastor for 10 years. In 1998, he moved to California where he re-embarked on an evangelistic crusade and traveled extensively speaking at camps, conferences, crusades and ministerial training venues. During his career, Rev. Morgan has contributed to several committees with the United Pentecostal Church organization, including the Chinese Summit Committee, Illinois District Youth Committee, The Oklahoma District Youth Committee, and the Evangelist Commission. He was also a board member of Jackson College of Ministries. He resides in the San Francisco Bay Area with his wife, three children and two grandchildren. Rev. 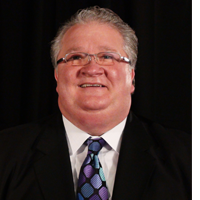 Larry Eddings is Senior Pastor of Harvest Ministries in Springfield, MO. 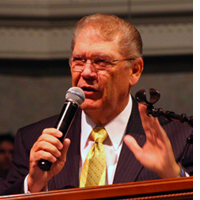 Prior to becoming Pastor in 1981, he served the church as Youth Pastor and Assistant to the Pastor beginning in 1978. He and his wife, Rebecca, were married in July 1973. They have 4 children: Richard, Elaine, Brandon and Lerin. Rev. Eddings was granted license with the United Pentecostal Church on June 16, 1980. During his time in ministry he has served the Missouri District faithfully in various capacities: first as Youth President for six years, chairman of the Evangelism Commission and as the Director of Home Missions for thirteen years. During his tenure of leadership the Missouri District experienced seventy plus churches, daughter works and preaching points started. Throughout the Missouri District he is known as a man of honor, integrity, and character. Rev. Eddings is currently serving as the Vice President and Secretary/Treasure of Global Impact Ministries INC., the parent corporation of Impact Asia, S.T.O.R.E., Global Impact Broadcasting and America On Fire. 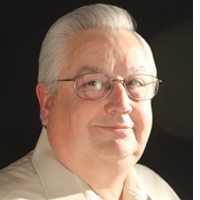 Billy Hale has been in the ministry for 42 years and has pastored churches in Louisiana, Oklahoma, and Colorado. For the past 34 years he has pastored Landmark Tabernacle in Denver, Colorado with his wife, Brenda. They have 2 children and 8 grandchildren. He has served on many boards and committees of the United Pentecostal Church International and is currently the District Superintendent of Colorado , a position he has held for 27 years. Spiritual formation in heads, heart, and hands is the focus of his ministry as he shares his journey of faith and consecration with others. He has been a speaker for many conferences, camp meetings, and conventions throughout the United Pentecostal Church and other Pentecostal organizations and the leader and organizer for many missions projects in North America and overseas. Rev. Greg Godwin is an evangelist and member of the Global Impact Ministries board, where he assists Rev. Mark Morgan in coordinating events and special initiatives. During his 26 year career, he has ministered in youth rallies and camps, minister's conferences and district camps nationwide. He has also traveled across the Pacific and Atlantic oceans to minister on foreign soil. His passion lies in conference administration, and he has assisted in the coordination of several. Notable conferences include "Closer than Close" hosted by Rev. Tom Foster in Dallas, Texas and the Apostolic Conference lead by Rev. Jerry Wayne Dillon in Madison, Mississippi. In 2006, he was also on-site coordinator for the 100 year celebration of the historic Azusa Street revival. Rev. Godwin holds a Bachelors degree from the Apostolic Bible Institute in Minnesota. He has two children, Gregory Paul and JoAnna Brooke. He was raised in Oklahoma City, Oklahoma and grew up under the mentor ship of Rev. R. D. Whalen. Husband of Patsy L Huntley, father of Christy Ballestero and grandfather of 5. I was converted in Charlotte NC at the age of 13. Attended Texas Bible College then went on to Evangelized for 7 years. I started the church in Raleigh NC with 5 people attending in 1978. I held several District and National offices, also had the privilege to speak at Conferences, Camp Meetings, and several other events.